TSS has vast experience of working with young people who self-harm and all of our staff is trained in working with individuals who self-injure. TSS has gained a deep understanding of the reasons young people harm themselves, and through our work we have learnt how to provide help and bring hope. Our staff adopts a non-judgmental approach in order to build trusting relationships with affected young people and helps them to find alternative positive coping mechanisms. We work closely with outside agencies such as CAMHS, National Self-harm Network and Harmless. 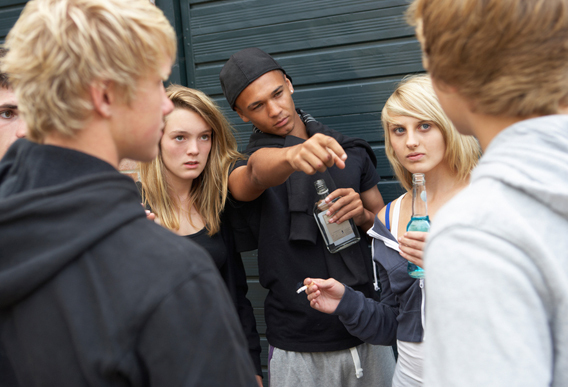 Staff at TSS has undergone extensive training and have vast experience of working with young people with a history of alcohol and substance misuse. We offer one to one support as well as in-house workshops. We help and encourage our young people to access help and support from outside substance misuse agencies. We also accompany young people to court and YOS appointments. TSS recognises the need to take a proactive approach in order to protect young people that are at risk of, or exposed to sexual exploitation. Staff supports young people to develop their knowledge and skills around making positive choices about relationships, sexual health and provide them with information about how to avoid situations that could put them at risk of Sexual Exploitation. TSS work collaboratively with all agencies and believes that working in partnership is crucial to tackling the sexual exploitation of young people. TSS has gained experience whilst working with unaccompanied asylum seekers and recognises the importance of making the young asylum seekers feel safe and comfortable within their environment by referring them to services and organisations that offer support for refuges and asylum seekers. We understand that communication is key and for this reason, we have employed a multilingual Asylum Support worker to help the unaccompanied asylum seekers. We have found that once we are able to communicate, we can aid them to follow the various procedures to seek asylum. TSS supports unaccompanied asylum seekers to make contact with local solicitors, to access to local colleges and enrol on ESOL courses. TSS also provides engagement sessions around “life in the UK” developing their awareness of British culture and society. We are always looking for innovative ideas, methods, and programs to help our young people deal with their issues and challenges. Risks are benchmarked and our staff has a clear plan in place which ensures that a consistent approach is maintained at all times when working with young people. Our team are C-Card trained and offer Sexual Health workshops and engagement sessions to all young people. Young people are encouraged to attend sexual health clinics for regular screening. Engagement sessions focus on a number of areas including actions and consequences. This promotes positive self-esteem and gives young people strategies to use when their behaviour is becoming aggressive. Staff provides consistent boundaries and support young people to manage their own behaviours on a daily basis.